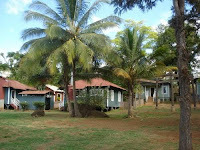 Worker's huts in old village. 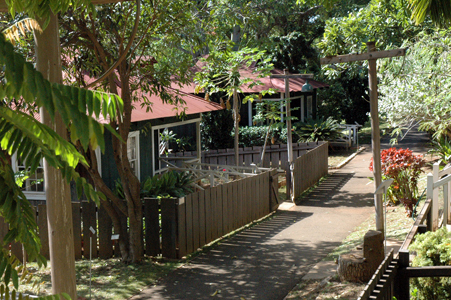 This village in Oahu is used to teach people about how sugar cane plantations were run in Hawaii in years past. The village’s collection of houses—several have been reconstructed-- reflects the immigrants that labored on this plantation from 1850 to 1950. These immigrants were from China, Korea, Japan, Portugal, Puerto Rico, and the Philippines. Native Hawaiians also worked on the plantation. Guided tours of this living museum are given year-round that recount the history of the plantation—but in the fall tours are given that reflect the plantations’ hauntings. Of the 25 houses located at this plantation half of them are considered to be haunted—the Portuguese house being the most active. Most of the activity occurs at night but one small female ghost that resides in the Portuguese house has been known to play with school children and their mothers that tour the village during the day. One Filipino female docent states that this little ghost touched her shoulder numerous times and flipped her hair. After this, she would not go back into the Portuguese house. Later she was informed this little ghost is attracted to females because her mother abandoned her when she was little. She died in a house fire that occurred on the plantation. The Puerto Rican house has a mysterious doll that has been known to move from the case it is kept within. One guide that works at the village states a “choking ghost” that resides in the Okinawan house followed him home one night. The executive director of the village, Jeffery Higa states he did not believe in ghosts when he first took this job in 2006. He has changed his mind. There is so much activity at night that he does not go to the village alone. He takes his Collie with him. This dog typically does not bark but often when he is with his master at the village he stops and barks at something unseen. The plantation village for a decade has hosted a “haunted plantation” attraction in the fall. This attraction includes over 60 actors and is so terrifying children under the age of 12 are not allowed. There is an aggressive ghost in the Portuguese house that has physically attacked actors hired to work during this attraction. It is believed to be a male. Because of this the actors are no longer allowed to work alone—they now work in pairs. This rule was made after two female actors that worked alone in the Portuguese house had their legs grabbed. Later both discovered multiple bruises on their legs, which looked like fingerprints. One immediately quit. 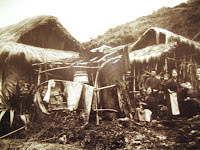 Higa had the Portuguese house blessed and purified because of this activity. More than 15 actors have quit over the years because of being spooked by the real hauntings at the plantation. 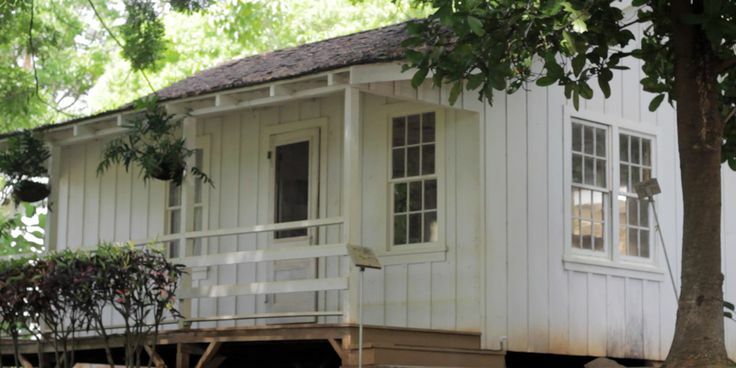 The following video done by Honolulu Magazine has Jeffery Higa and Noa Laporga talking about the ghostly activity that people have experienced while at Waipahu plantation.